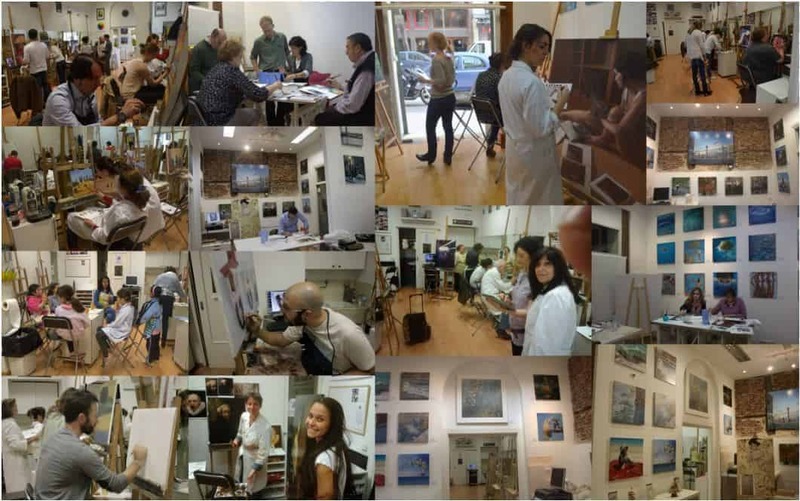 A myriad of people pass through our classes, including foreign artists, professors of art, painting enthusiasts and beginners, all looking for high quality technical instruction. Alejandro DeCinti and Oscar Villalón each have more than 20 years experience as professional painters and professors. They enjoy a strong presence in the Spanish and European cultural scenes. Our watercolour courses are appropriate for painters of all levels, from complete beginners to advanced students. 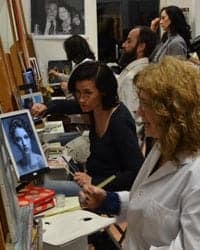 We offer ongoing training throughout the year, centring on the most important and subtle aspects of this traditional and rewarding painting technique.